Lorraine Ibold, LCSW knows how to compassionately guide her clients struggles in order to help them reach the state of personal inner strength. She is dedicated to empowering her clients and helping them to make their own decisions at their own pace. She offers over 20 years of clinical experience, which has included providing individual, couple, family and group therapy. 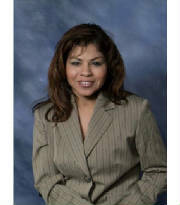 She has expertise in working with juveniles, family law court and the criminal justice system. She has additional skills in Geriatrics and the Healthcare System. Her knowledge about Healthcare systems and Long Term Care has allowed her to assist families. She practiced as a social worker for Ventura County and Orange County Children and Family Services. She gained expertise in domestic violence and child abuse and neglect. She worked extensively with chemically dependent individuals, and has been a liaison with the Human Options, and Women's Transitional Living Center Domestic Violence Shelters. She's conducted trainings and presentations in child abuse, neglect and domestic violence, to mental health professionals in Orange County. She's a dedicated field instructor/trainer for graduate students, and has served as an adjunct professor/faculty with USC, Loma Linda University, California State University, Long Beach, and the University of Phoenix. You can contact Lorraine directly at lorraineibold@verizon.net.